Alafair Burke’s knowledge of the legal system is a result of years steeped within that world – first as a law student, then a lawyer, and current as a law professor and occasional media pundit – so it should come as no surprise that her crime fiction work has managed to repeatedly weave together complex plots that merge crime fiction with elements of legal thrillers and domestic suspense. Her latest novel, The Better Sister, is no exception; but it is exceptional, another career high in a trajectory that has always been well above par. The sections of The Better Sister that deal with the Taylor sisters’ history remain firmly rooted in the domestic suspense side of things. Readers watch them compete as rivals in their youth, struggle to come into their own, and eventually reach a point where each has settled down in their own unique ways: Nicky as a wife and mother, while Chloe makes a name for herself rising through the ranks of magazine publishing. Things change one night by the pool. Which leads into a second phase of the book, one in which Chloe is now married to Nicky’s former husband, Adam, and raising her sister’s son, Ethan, while trying to navigate the challenges of being editor-in-chief at a successful women’s magazine. Nicky, now toiling with addiction, failure, and low self-esteem, hardly has any interaction with her family members and remains an enigma even to herself. But a tragedy is about to rip all of their lives asunder, leaving only the tattered bonds of blood as their safety line. With the murder of Adam, Alafair Burke leads readers into the next compelling and tense portion of the novel. As the police investigate, Chloe worries about the effect the death of his father will have on Ethan. However, that becomes the least of her concerns when the police start circling Ethan as the prime suspect. This is the section where Burke really gets to show off. Watching the inner workings of the legal system, the courtroom theatrics, and behind the scenes negotiations is utterly gripping and even as readers know twists are coming, this is a writer that allows their exposure at key moments, ratcheting up the suspense. Of course, these three timelines do not appear in strictly chronological order. What would be the fun in that? 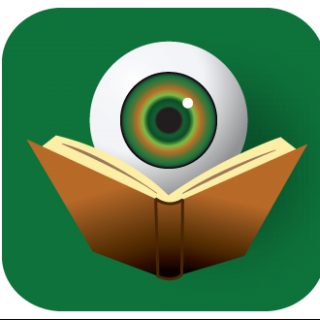 Alafair Burke adeptly navigates flashbacks, point-of-view changes, and shocking revelations making The Better Sister another one-day reading experience. It is incredibly difficult to stray too far from these pages until one knows what is going on – both what happened in the past and who killed Adam Macintosh. Fans of Alafair Burke’s last two novels, The Ex and The Wife, will be thrilled to know that Olivia Randall is once again part of these proceedings. She comes into the story with the legal troubles, which further elevates the impact of those sections. This is a character readers have grown to love and any chance to spend more time with her is a win. While not technically a series, having Olivia Randall appear again in The Better Sister connects these three novels in a unique way that will no doubt inspire academic papers for years to come. 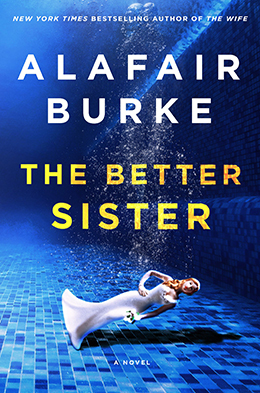 The release of an Alafair Burke novel is always a highpoint in any year’s publishing schedule, so be sure to grab your copy of The Better Sister now. You will want to be part of this conversation.